Thanks to a very generous alumna, the M. Christine Schwartz Experiential Learning Laboratory was constructed and opened at the Chicago campus in August 2014. The lab is designed to give students hands-on clinical experience utilizing a variety of high-, mid- and low-fidelity simulations. The lab is equipped with advanced manikins, task trainers and standardized patients. 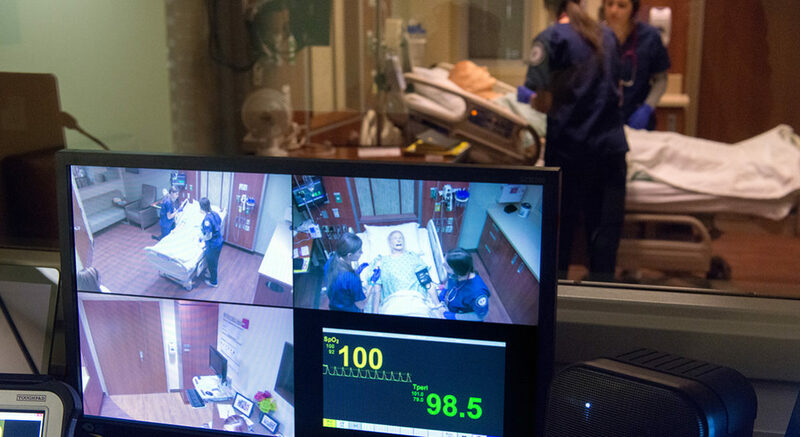 The variety of simulations and skills stations allow each student to practice hands-on nursing care, develop critical thinking skills, and learn effective communication techniques. The simulation rooms are fully equipped and can easily be converted for students at the beginning, intermediate and expert levels. The collection of adult, obstetric, pediatric, and neonatal manikins allow us to tailor scenarios for all levels and specialties.